We won't be able to watch the game live: Fox is showing it on one of their channels that our cable provider does not carry. We would need a $20/month subscription to Fox Soccer 2 Go to watch it online, and that would just be too politically incorrect. So we will watch it from Kate's TV in Sydney via FaceTime. We would trade off another 43 years in the wilderness for victory tomorrow. 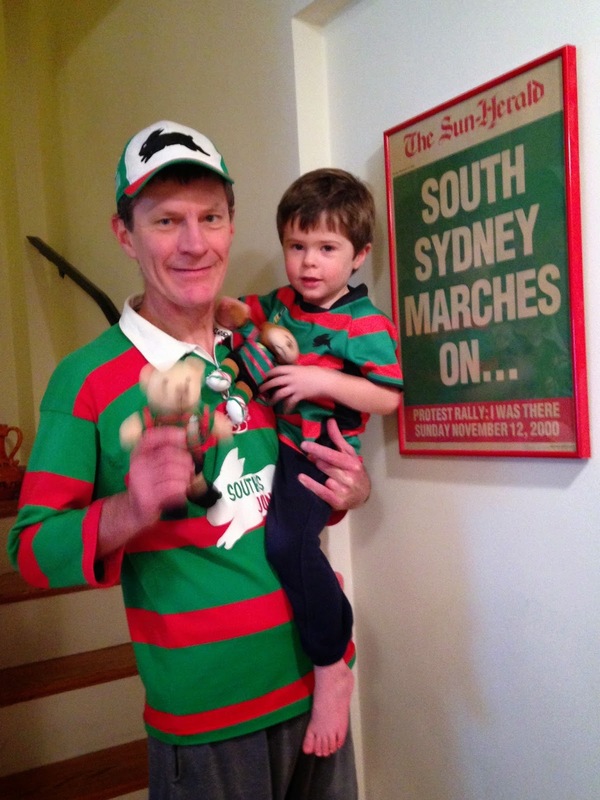 Glory Glory to South Sydney.